& EventsRob Mills specialises in heritage design and restoration of heritage properties in Brighton. ApartmentA bespoke Rob Mills home will capture contemporary living in one of the great cities of the world. HouseRob Mills creates word-class apartment living in Brighton. 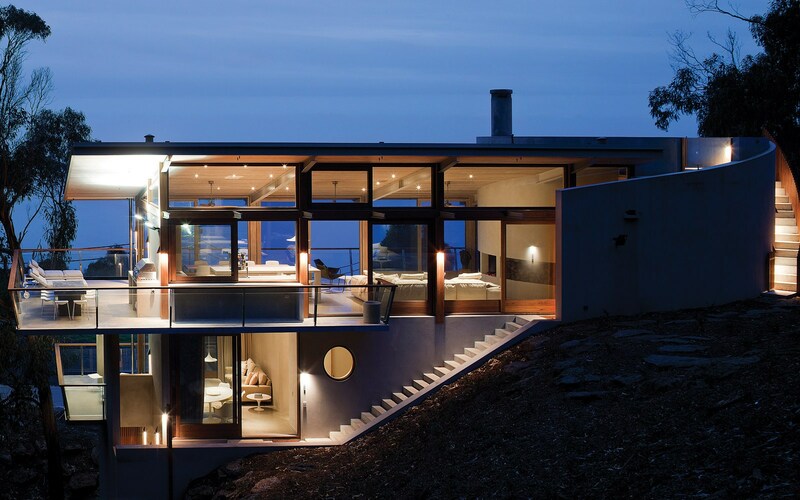 Ocean House is unlike any other accommodation found in Victoria – a unique wilderness experience that makes the ocean below and the forest above integral elements. A carefully considered, flexible floor plan allows it to easily accommodate several families, a large extended family or groups of friends in privacy. 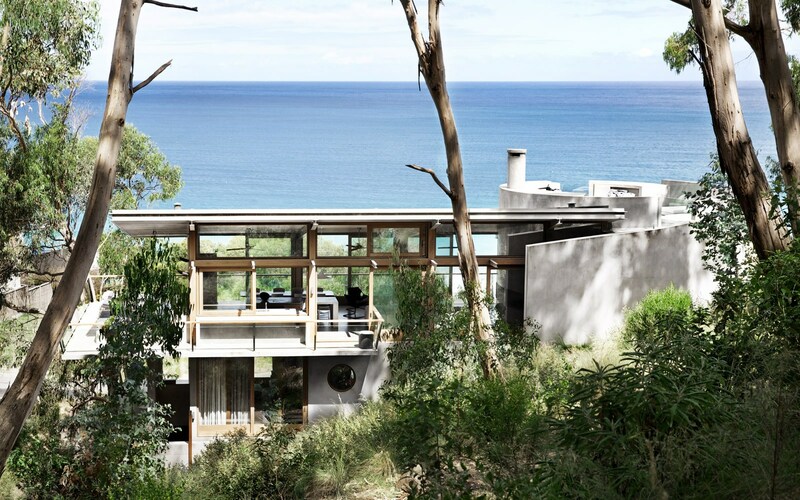 Warm in winter, cool in summer, this Great Ocean Road beach house is the perfect base whether exploring nearby waterfalls or fishing for the evening’s BBQ. The rooftop bath is a decadent reward after completing the Pier to Pub swim, Mountain to Surf walk or Amy Gillett cycle. 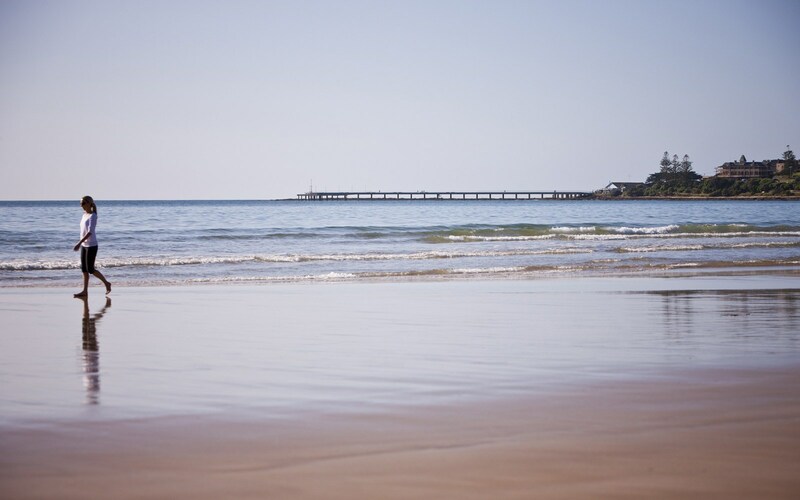 A day at the beach couldn’t be easier with secluded North Lorne beachfront just outside your front door. Alternatively, take a walk in the forest behind, recline on the daybeds or enjoy evening drinks on the rooftop terrace for an idyllic Lorne luxury getaway. The essence of great travel is understanding that the journey is as important as the destination. 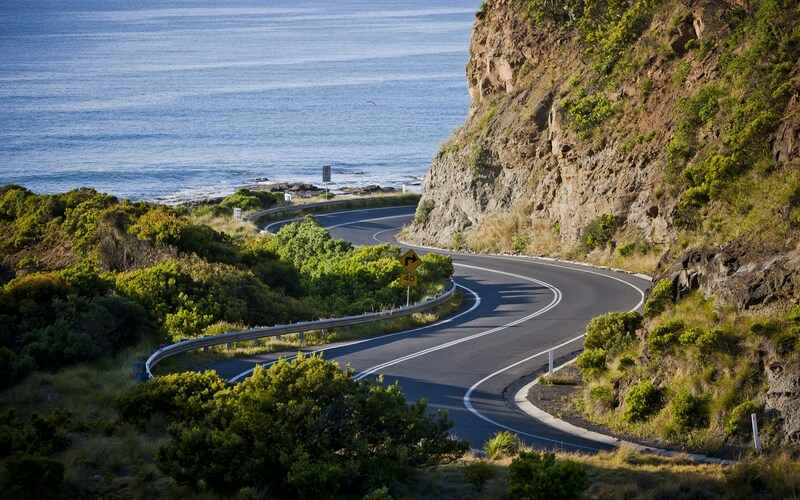 The Great Ocean Road is one of the great journeys of life and Ocean House one of the great ocean view destinations not only in Victoria, but in Australia. 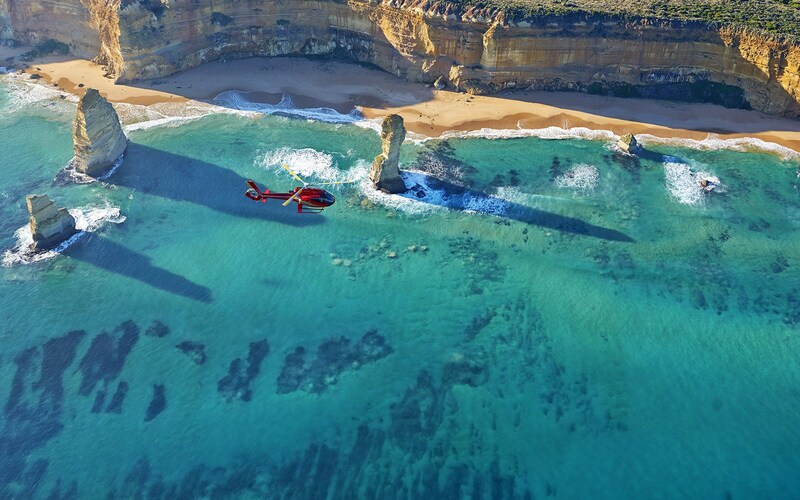 In just one and three-quarter hours you arrive at Ocean House after a short journey along the freeway and a spectacular drive along the Great Ocean Road. On the drive down enjoy a meal at one of Victoria’s great coastal restaurants, A La Grecque, then continue on to arrive at Ocean House. With a standard of luxury that Lorne holiday makers have been waiting for it is ideal for an unforgettable luxury romantic getaway, the perfect place to escape with a few friends or large group, or accommodate the whole family. Visit Victoria’s best regional restaurant, Brae Restaurant at Birregurra and go exploring in the rain forest of the Otways National park. Walk to the beautiful Erskine Falls with its fern gully below the stone stairs and boardwalk, take in the magnificent cliff faces along the Cumberland River, and then sit back at the end of the day to enjoy an aperitif and take in the view over Loutit Bay. Whether you’re after luxury family accommodation, or a romantic getaway, discover why Ocean House is one of the best places to stay along the Great Ocean Road. Enquire or make a booking today. If you want to create your own oasis come and search for Great Land with us. We design throughout the world. Visit Rob Mills Architects and Interior Designers. 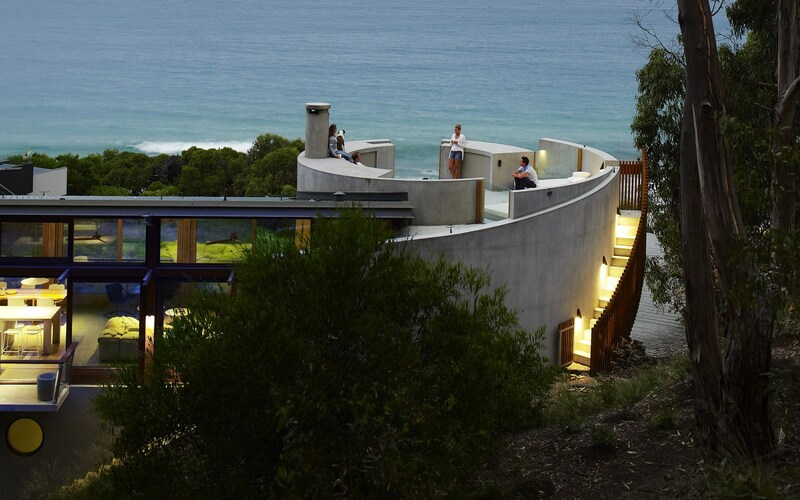 Sign up to receive updates about Ocean House Lorne and Rob Mills Architecture & Interiors.